The Art of Baking Biblical Bread: Preparing for the Third Temple - Breaking Israel News | Latest News. Biblical Perspective. 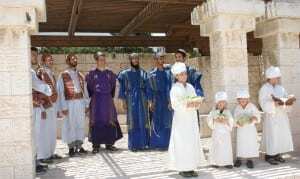 On Monday, a reenactment of a special Temple service was held in Jerusalem on the Armon Hanatziv Promenade. To a casual observer, it resembled a country fair. 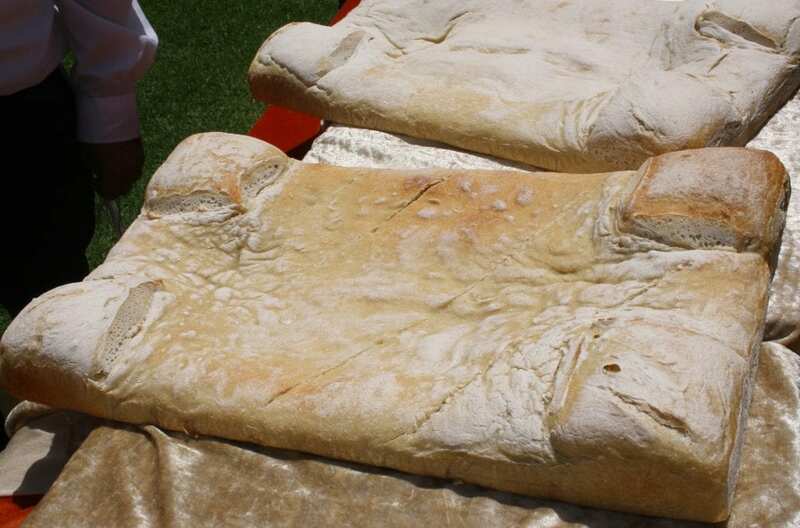 Families gathered for a pleasant afternoon, children gawked at displays of goats and produce, while the main event, a bake-off, featured two very unusual looking loaves of bread. It became clear this was not your normal gathering of farmers when bearded men in flowing white robes began to blow on long silver trumpets. This full-dress reenactment of the Omer offering was an essential part of preparing for the rebuilding of the Jewish Temple, bringing it closer in the most practical ways. On the first night after Passover, Jews begin counting the Omer, marking off seven complete weeks and culminating in the holiday of Shavuot (Festival of Weeks), which this year took place on June 12. Most people associate the holiday with celebrating the day on which Jewish tradition holds God gave the Torah to Israel at Mount Sinai, but the festival looked very different in the days of the Temple. The Bible commands Jews to bring two loaves of bread on Shavuot to the Temple. Made from the choicest wheat, which was ground and sifted twelve times before being baked, it was brought as a thanksgiving “wave offering” along with two lambs, as a central aspect of the national holiday. Rabbi Yaakov Savir led the reenactments of the Omer offerings this year in Jerusalem. He told Breaking Israel News that the reenactments are essential to preparing for the Third Temple, because they teach the priests about the practical details of performing the special commandments. “Despite the detailed descriptions in Rabbinic literature, every time we re-enact the rituals we discover something,” he explained. “The two loaves are the only grain offerings brought to the Temple made from leavened bread. All of the other grain offering are flat, pan breads, usually fried in oil. Even the Show Bread that was always present in the Temple, despite being quite large, was essentially matzah, unleavened bread. “The two loaves brought to the Temple are made from a sourdough. This requires a sourdough starter to begin the process of leavening. This starter takes quite a long time to make and is usually, in domestic use, saved as a culture. These cultured starters have to be destroyed before Pesach (Passover), along with any leavened products. When we set out to make the two loaves for the Omer, we have to begin the process of creating a new sourdough starter as soon as Pesach ends in order to make the two loaves for Shavuot. Not only was it essential to learn this important practical detail order to bring the actual sacrifices, he continued, but it it shows a holistic and natural basis for the Temple Service in which everything, including the rising agent of the bread offering, is taken into account. The reenactment of the Temple service reconnected the modern holiday of Shavuot with its agricultural roots as Chag Hakatzir, the Harvest Festival. 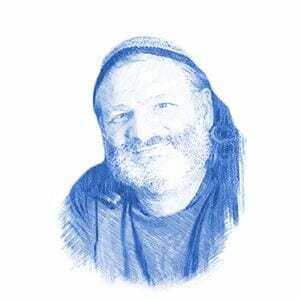 Rav Hillel Weiss, secretary of the Nascent Sanhedrin and an organizer of the event, told Breaking Israel News that this aspect of the holiday is more relevant today than ever, noting the connection between modern Israel and agriculture. Aaron Aaronsohn was an agronomist and Zionist who lived most of his life in Israel in the late 19th century, when it was still the Ottoman Empire. Aaronsohn discovered wild emmer, Triticum Dicocoides, believed to be the ancestor of most domesticated wheat strands cultivated on a large scale today.